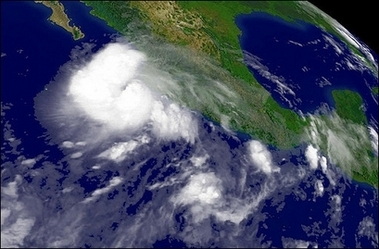 Hurricane John has nearly completely missed Puerto Vallarta. There was some light rain last night, but the winds were calm. Total rainfall was less than an inch. Today, everything is getting back to normal - it's business as usual. Tours are running, airport is open, and all is well. There was no damage to Puerto Vallarta from the storm, and we welcome you with open arms. Tours are back up and running as normal today. If you missed a tour due to the storm warnings yesterday, refunds will be issued. No word yet from ATA, Delta, Frontier, Mexicana, or Aeromexico.